It's time for my monthly favorites post, even though I'm a little late. I can't believe June is over and we're almost at the middle of the summer!! But hey vacations are on the way, I can't wait!! 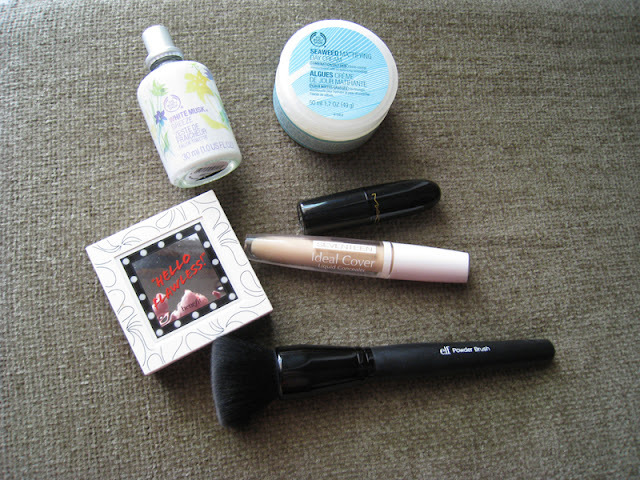 I didn't have many favorites for this month, it's been so so so hot here and whenever I wore make up I was using only a few basic products! I actually stopped using a liquid foundation, I can't stand it when it's too hot, and I've been loving like crazy this powder foundation, I've purchased it at the beggining of this month. It's an amazing powder foundation, it gives you a medium coverage, it doesn't look cakey at all, it stays on without transfering around my nose and chin for at least 5 hours without a primer. I'm using the shade Champagne and it's a good match for my NC25 skintone, also it hasn't broke me out. I've tried many different types of brushes to apply it, Sigma's F80, Sephora's Mineral Powder foundation brush, but the best one is the ELF Studio Powder Brush If you're using powder foundations, or mineral powder foundations in general try this brush, it's amazing and also very cheap. When it comes to choose a concealer at summertime, I always prefer the ones with liquid consistency. Seventeen is a greek brand, I wouldn't say a drugstore brand since the prices are not that cheap, but they're affordable, it costs 13 euros. 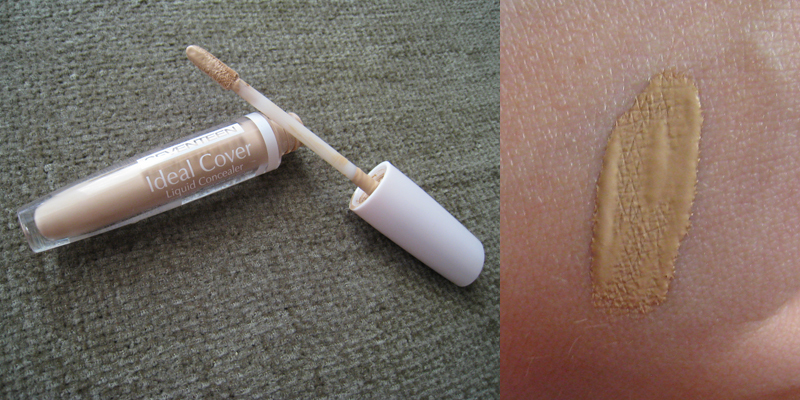 I first bought this concealer last summer and I went through an entire bottle within 3 months! For some reason they do not write the quantity of the product on the packaging, but I'm pretty sure it doesn't contain much! I really like it though, I love the sponge applicator, so easy to use, it has a yellowish shade and it covers well undereye circles and blemishes, I use the shade 06 Caramel. I like to apply it with a Mac 217 brush. The only problem is that it contains shimmers, they're not too visible though, but some people might not like that. This is the only lipstick I've been wearing the whole month. I have it for some years now but I wasn't wearing it that much, I don't know why because it's an amazing color! It was released with the Raquel Welch collection back in 2007 if I remember correctly, and it was limited edition. 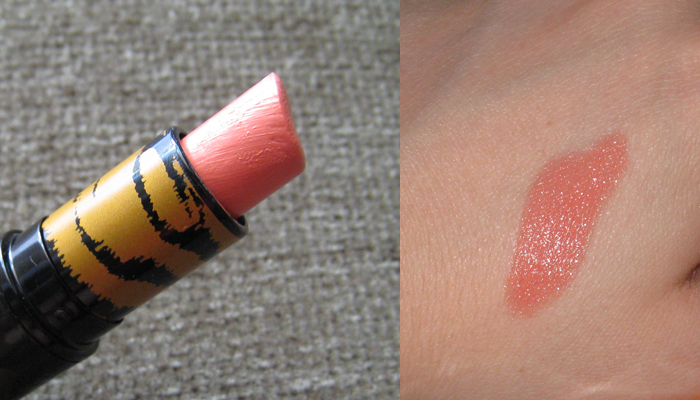 It's a true coral peach shade with no shimmers, the texture can be a little thick but with a little lip balm under the problem is solved. It looks amazing on tanned skintones, Jennifer Lopez was wearing a similar color at her "I'm Gonna be Alright" music video. The Body Shop every summer releases a new White Musk limited edition perfume, this one was released in the summer of 2010, and it doesn't smell like the original White Musk perfume at all, that's why I like it! It smells so fresh and citrusy. Very summerish! 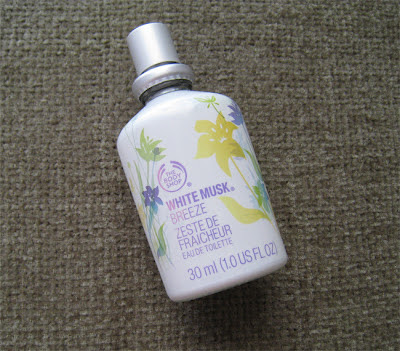 I hope Body Shop will release more citrus based perfumes in the future, one of my all time faves was Zestini but they discontinued it several years ago, fingers crossed they will re-release it sometime in the future. 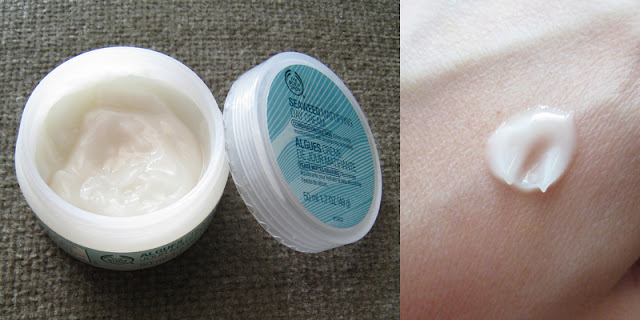 This is a basic non SPF moisturizer for oily skintypes. Most of the times I've purchased a new skincare item it broke me out, so when I purchased this one I was pretty sure it would break me out, but after using it for more than a month I'm happy to inform you that it didn't! It has a gel consistency, that leaves your face refreshed with a cooling sensation, it's not super moisturizing but it does the job for summertime. Unlike other gel type of moisturizers this one keeps me truly matte, it's a great base for foundations, and my face doesn't become oily after an hour or two, I had that problem with Clinique's Dramatically Different Moisturizing Gel. I can't recommend it enough to oily girls that cannot find a moisturizer that keeps you matte. And it's not expensive at all, it costed 14 euros. I've tried quite a few face scrubs in the past, and the only one that really worked for me was Mac's Microfine Refinisher but it has been discontinued for years now and I couldn't find one that worked the same. It had that small particles for exfoliation it felt like sand. After paying all that money for just a face scrub I decided to make one of my own and it really did work! 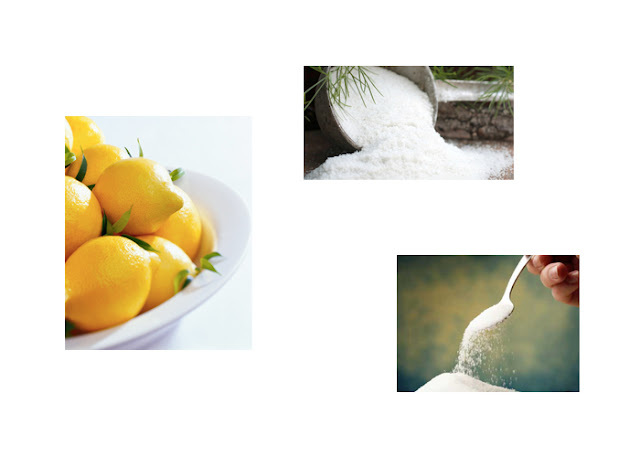 I wanted to use incredients that are targeted for oily skins so I searched on the internet and I came up with a very simple recipe: 2 tablespoons of fine sea salt, juice of half a lemon and one tablespoon of sugar, I mix them all in a small bowl, you want to make a thick paste not too runny. Please use fine sea salt otherwise you may hurt your skin. The fine sea salt and the sugar exfoliate really well without irritating my skin, and I have sensitive,acne prone skin. The lemon really helps with the oiliness. I massage it gently into my skin, and then I let it sit for couple of minutes before I rinse it off. Everyone can try it, I'm sure you all have those ingredients in your kitchen. Have you tried any of these products?? Do you like them? Please let me know! Yeah actually you're not the only one, I remember reading the reviews at MakeupAlley and the Seaweed moisturizer irritated lots of ppl, it's so weird that I didn't have problems. Yes, very light and fresh! S'euxaristw polu gia to follow!!! 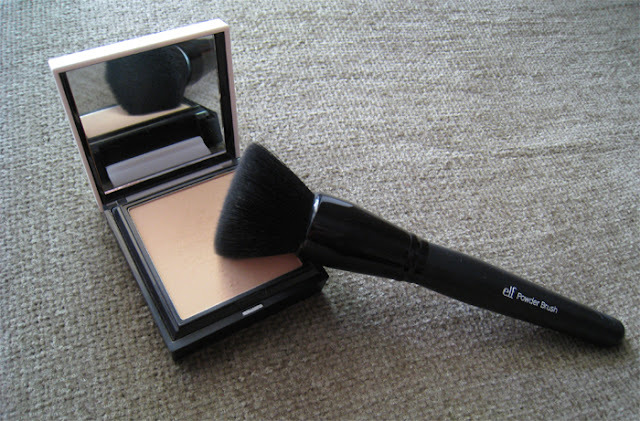 To powder foundation einai para polu kalo, k me ligo concealer k bronzing powder k eisai OK gia to kalokairaki! πολυ καλη η συνταγη σου κανω μια παρομοια -βαζω κ λιγο λαδακι για να γλιστραει γιατι το αλατι το θαλασσινο ειναι λιγο τραχυ για το δερμα μου καθως εχω συχνα προβληματα ακμης οποτε το λεμονι ειναι ιδανικο για εξισορροπηση- σε προσωπο κ σωμα κ αφηνει το δερμα σα βελουδο! κ ηθελα να σου πω οτι εχω το κοσνιλερ της seventeen ειναι πολυ καλο εχω κ αυτο για καλυψη σημαδιων ενα πρασινωπο..κ το highlighter επισης πολυ ωραιο αλλα εγω επειδη δεν εχω τωρα βαζω λιγο ακομα κοσνιλερ κ ειναι μια χαρα φωτεινα τα ματια! Isws ton xeimwna pou to derma mou xerenetai prissotero na dokimasw k ligo ladi stin suntagi, alla me ton xumo lemoniou eimai OK, aplwnetai eukola xwris provlima. Vgazei prasino concealer?? Den to ixera, mallon tha to tsekarw gia simadia k spurakia. Einai ena apo ta kalutera pinela gia poudra. Exactly!! Except Vanilla, I don't like any other TBS fragrance from their perm line. I wouldn't say that the Seaweed moisturizer really moisturize the skin but on the other hand I haven't try any oil free moisturizer that does that.